Eliminate the need to print documents that require a wet signature by using our electronic signature solution. The electronic signature process requires an appropriate digital certificate from a certified authority. We ensure compliance by using regional certification partners to provide the digital certificates required to facilitate a legal signature on a document. Speed up the process and remove the need to print reams of paper by sending the document directly to the recipient’s inbox and getting colleagues or customers to digitally sign directly from the attached document. Your customers will appreciate the simple process and the freedom to sign documents anytime, from anywhere and on any device. Reduce costs related to printing, filing, scanning, circulating and storing a document. Use this solution in conjunction with your existing document management processes. 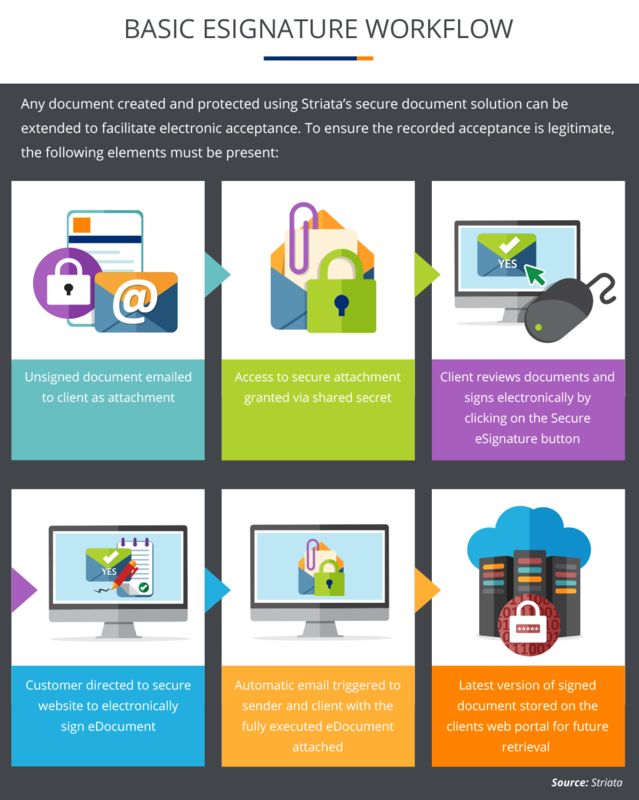 Your customer’s document is secure throughout processing, circulation, signing and storage. Give your customers the ability to sign their documents from any device with the appropriate certificate.